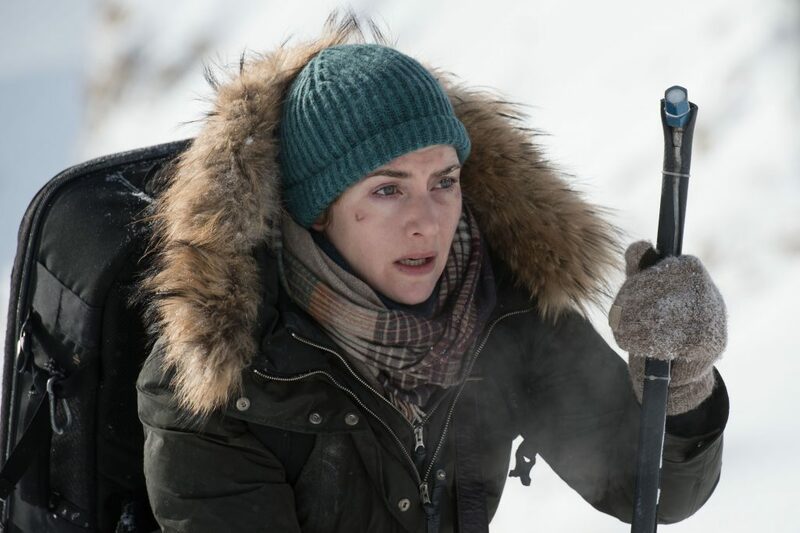 The Mountain Between Us may leave some audiences confused depending on their expectations for the film. It was curious, though how the trailers portrayed the movie to be one way, and the film ended up being completely different. Full disclosure: this film is based on the novel (of the same name) by Charles Martin, in which I have not read prior to viewing. Let us begin with the fact the film doesn’t spend a long time with getting into the suspense that was advertised. Probably one of the most visual standouts of the movie will be the plane crash. (As seen in the trailer) What I appreciated was how the camera within the plane captured the entire scene as if you (the audience) were one of the passengers as well. Describing the scene is one thing, but seeing it is another. As the story progresses, we get a handful of suspenseful moments. Personally, some of those moments had me at the edge of my seat. A lot of the dangers that are faced by the characters were very realistic and practical. I thought it was interesting to have the characters know as much as they did in terms of survival techniques. 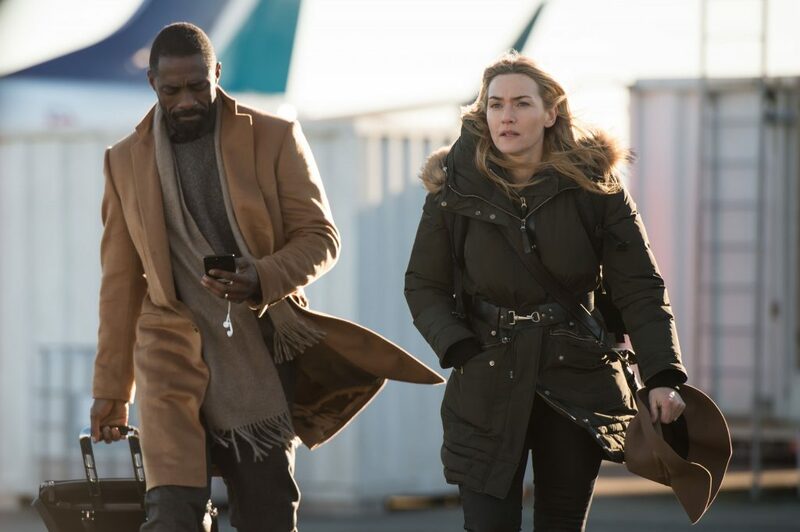 It’s a little crazy because while many of the things that Idris’s character did made sense (being a doctor and all), Kate Winslet’s character felt like a human Google Search. I think the biggest strength in The Mountain Between Us is without question the acting performances. Kate Winslet shines in her role given the tough decisions and realizations that she makes throughout the film. However, I’d have to say that Idris Elba wins out a bit more. I think that’s because Idris simply had more to work with within his role. Unfortunately, as much as the marketing for this film tries to promote itself as an intense survival thriller, it’s simply not the case. The film is more of a romance than anything. There’s nothing wrong a romantic genre of course. However, if you’re selling people on the survival aspects, and not so much the drama, then disappointment will surely enter into the equation. Not to mention the fact that you have probably missed out on catering the film to the audiences that actually would care to see a romantic drama. Due to the slow pacing of the film, it really makes you feel as though it’s much longer than it actually may be. The plot is just not as engaging as it may be compared to the novel. Dare I say, it’s only when danger presents itself that your interest may be rekindled to keep on watching. 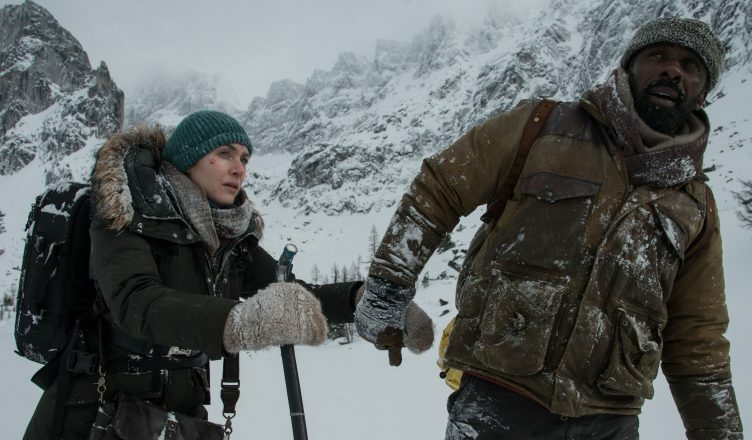 The Mountain Between Us is the type of movie that hoped it could be carried more so by its star power rather than the story itself. Sadly, I don’t think any of the biggest Hollywood stars could help this film. You should know going into the film that it is probably 65% romance/drama and only 35% suspenseful survival story. If you go in with those expectations, I think you’ll better appreciate the film. I couldn’t recommend this for more than a matinee or maybe a rental viewing at best. See The Mountain Between Us in theaters now! Be sure to follow Eman’s Movie Reviews on Facebook, Subscribe on YouTube, or follow me on Twitter/IG @EmansReviews for even more movie news and reviews! It’s Time To Tell Tyrese Gibson To Just SHUT THE HELL UP!